Several hundred communists and socialists will run for public office on the Democratic Party ticket this year. One of them is San Antonio activist Rick Trevino, who is vying for a seat in the U.S. House of Representatives, from Texas’ 23rd Congressional District. In 2017, he ran a strong, but unsuccessful race for San Antonio City Council from District 6. Rick Trevino was a National Delegate for Bernie Sanders, representing Texas Senate District 26. Trevino is currently the Secretary of the Bexar County Democratic Party. He hosted the first house party in San Antonio in June 2015, founded San Antonio For Sanders in April 2015 and co-founded Laredo For Sanders shortly thereafter. His work in San Antonio provided the Sanders Campaign with a strong infrastructure of volunteers and political support. Despite running as a Democrat, Rick Trevino is a member of this country’s largest Marxist organization, Democratic Socialists of America (DSA) – a fact not revealed on his campaign literature. The Texas branch of Our Revolution, a DSA-Front organization, has endorsed Rick along with the Austin branch of the DSA. Rick Trevino has also been endorsed by Brand New Congress and Justice Democrats, two hard-left organizations heavily associated with the DSA mobilizing for the 2018 elections. District 23 is a sprawling district, stretching from San Antonio, south to the Mexican border and west almost to El Paso. It is currently represented by Republican Will Hurd and is regarded as a very possible Democratic pick-up in November. Several people are running in the Democratic primary, with the favorite being Jay Hulings, a Cuba visiting former Deputy Counsel to the House Intelligence Committee and close ally of San Antonio’s far left Castro brothers, Congressman Joaquin Castro, and former HUD boss Julian Castro. Rick Trevino should not be counted out however, because he has the backing of approximately 900 DSA members in the San Antonio/Austin area. He also has the endorsement and financial backing of the many 10s of thousands-strong DSA front Our Revolution and the nationwide DSA-controlled union National Nurses United. 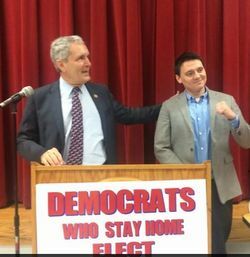 He is also close to longtime DSA ally San Antonio/Austin area Congressman Lloyd Doggett. 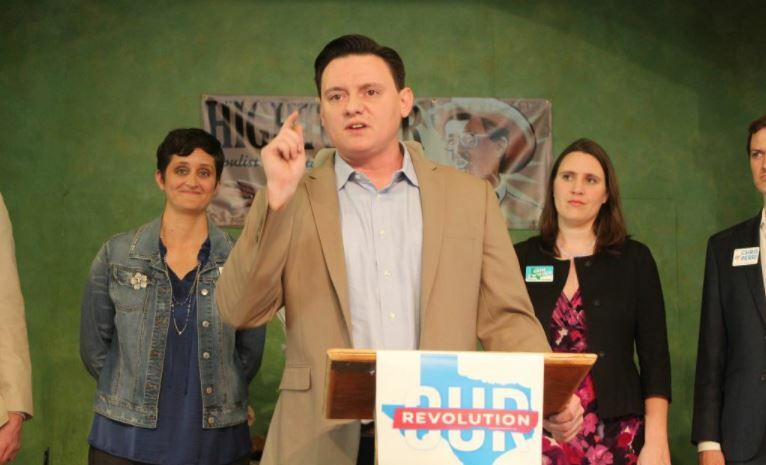 Should Rick Trevino prove competitive against Jay Hulings and Will Hurd, DSA, Young Democratic Socialists of America and Our Revolution will “nationalize” the race, pouring money and phone bankers into the 23rd District from all over the United States. Rick Trevino is a crypto-communist running as a Democrat. His campaign is deceptive in nature and needs to be exposed. Please help spread this information throughout Texas District 23 and beyond. Watch and circulate Trevor Loudon’s shocking documentary The Enemies Within as widely as you can before November 2018. It is a vote-changing experience.